Whitfield’s mission statement functions as a real-life guide to our everyday practice. We start with “ethical” because character is the cornerstone of a Whitfield education—molded in the classroom, on the playing field, in our halls. 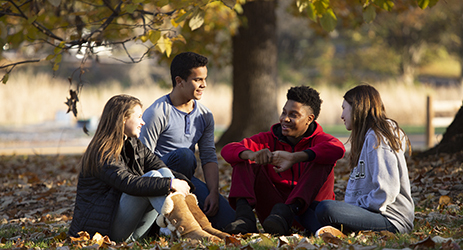 Today’s high-tech students are connected and empowered in ways previously undreamed of, and it matters deeply that they uphold their ethical obligations to self, family, and community. WHAT IS WHITFIELD'S DEFINITION OF SUCCESS? Our job is to prepare students to reach their highest personal and academic goals and to pave the way for their future growth. For one student that may mean an in-depth grounding in the sciences, for another fluency in a foreign language, for yet another early admission to a premier college program. Ultimately, success is the combination of the right academic skills and personal qualities, like perseverance and compassion. This kind of preparation is only possible in a close-knit academic environment where each child’s strengths are known and cultivated. To prepare students for a world that is undergoing enormous change, we must both honor the legacy of traditional education and recognize the importance of innovative thinking. 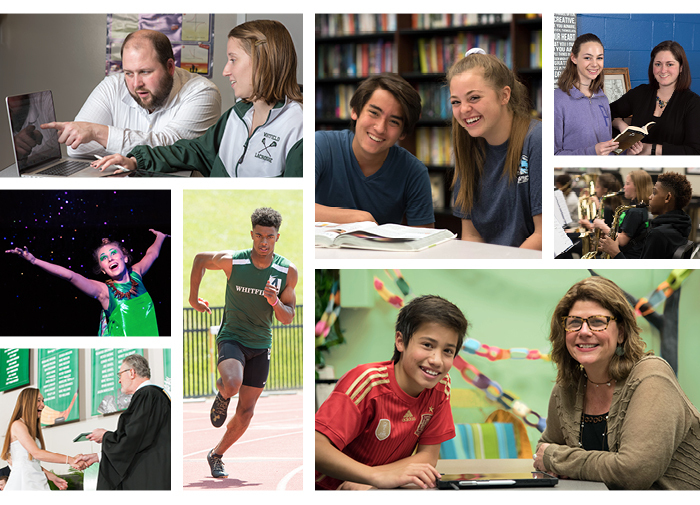 Every course at Whitfield is designed to address essential questions that reflect the needs and realities of the 21st century while also building strong academic skills. To strengthen the learning process we employ project-based instruction wherever appropriate and a variety of assessment strategies. In the hands of excellent teachers and enthusiastic learners, Whitfield’s technology resources facilitate exploration, collaboration, and creativity. A collaborative school environment enhances academic achievement. We gain essential insight from the perspectives of others and do our best work in a supportive atmosphere where risk taking is encouraged. Working together—and growing together—is the practical application of Whitfield’s commitment to community. Trust is the glue that holds us together. Through collaboration, our students, faculty, coaches and staff learn to rely upon one another to build a community of trust. Whitfield classrooms are bursting with energy. Students in grades 6-12 take required courses in English, math, science, social studies, and world languages every year. Additional science and humanities electives allow students to explore specific topics in greater depth. AP courses in math, science, and languages are also available. Whitfield offers students numerous opportunities to participate in the performing and visual arts. Students may choose from band, choir, and ensemble groups as well as mainstage productions in the theater department. The fine arts curriculum offers drawing, painting, photography, graphic design, and ceramics. Our history of leadership in educational innovation coupled with a rigorous college preparatory curriculum prepares students for success in college and beyond. 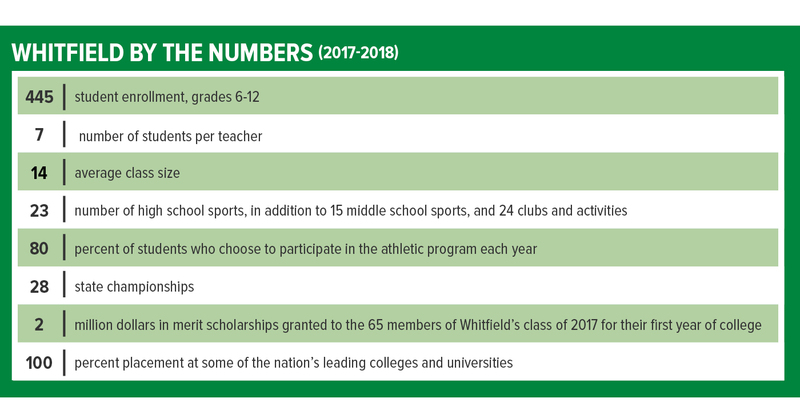 80% of Whitfield students participate in athletics. Our no-cut policy allows all students to explore new athletic activities based on their interest, regardless of prior experience. The result is one of the most successful athletic programs in the area, claiming 28 state championships, earning multiple coach and player of the year awards, and sending numerous graduates to play at the collegiate level. 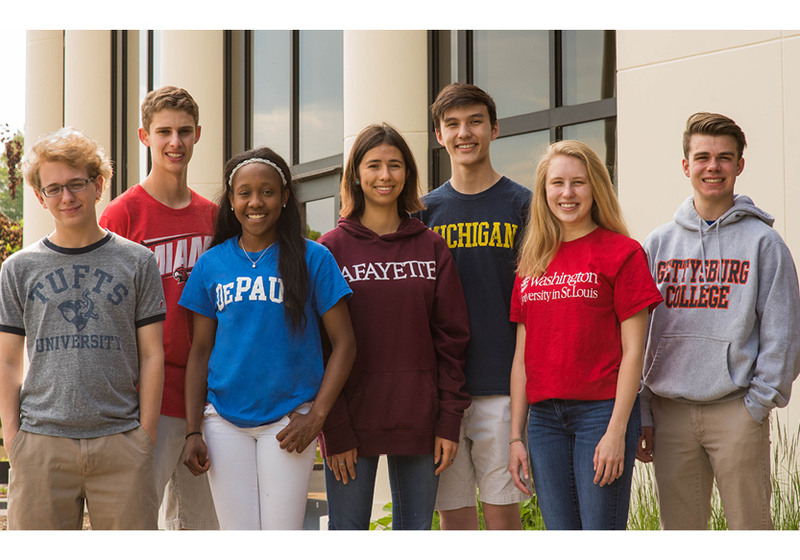 Whitfield’s veteran college counseling team provides expert and individual navigation of the application process and helps students find the right fit for the next step in their education. 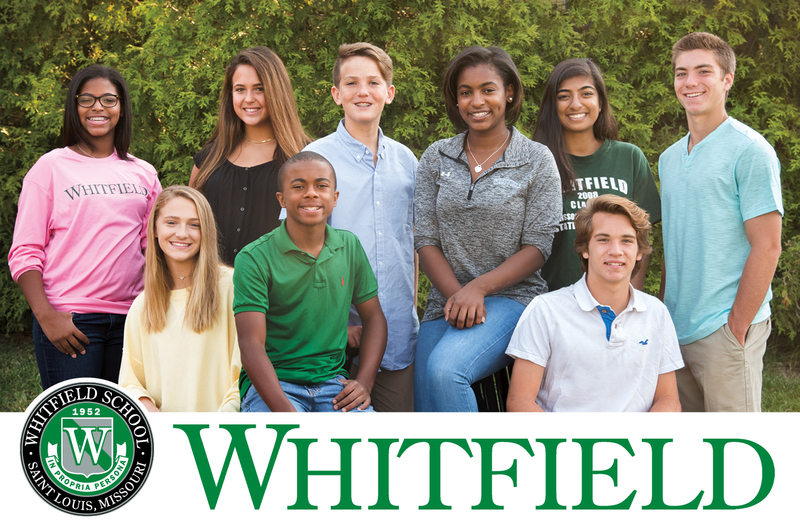 Whitfield students have earned just over $9 million in merit scholarships over the last five years and found success at some of the nation’s leading colleges and universities. 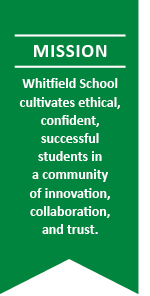 Whitfield is dedicated to the full development of its students as learners, leaders, and citizens. Guided by teachers of unparalleled talent and vision, our graduates are uniquely prepared to succeed in a rapidly evolving society, university setting, and workplace.